Experience Life In The Tropics! Belize! Lying majestically at the Northern bank of the mouth of the Belize River sits this private subtle island measuring 11 acres. It is bounded by the Belize River, Steamboat Creek and the Caribbean Sea. An exotic and tropical private caye nestled by the bountiful Caribbean Sea. Private Tropical island - Turnkey - 21.0 acres offered for $440,000. Price includes Two Houses, Two Piers, an Infinite Pool, Three Speedboats with outboards. This island is approximately 2.5 acres big with beautiful landscaping and stone work. It has a pool built into it as well as a barbecue all in stone. There is a care taker quarters and a small house on the island. A bathroom and a landing area for your boat. This is a beautiful island with plenty of room to build on. Cowichan Lake is one of the largest lakes on Vancouver Island, it's 30Km length provides plenty of room for rectreational pursuits including windsurfing, water skiing, swimming and fishing. In spite of it's proximity to Victoria (1 1/2 hr. drive ) Cowichan Lake remains an unspoiles and relatively undiscovered paradise. This 250 hectare (635 acre) undeveloped private island is offered at a very reasonable price for private or corporate investment. The island of SÃ£o GonÃ§alo is located in a quiet deep water channel between the island of Itaparica and the continent of Bahia. The land mass of 2. This beautiful island lies in Angra dos Reis Bay in the state of Rio de Janeiro, Brazil. The property is in very good condition, and has a fortress-like appearance due to the twelve cannons and six watchtowers spread around the island. Houses are built in the Portuguese Colonial style. Have Your Own Island In The Baltic Sea! Have you ever heard the saying â€žcanâ€™t even have an own islandâ€�?? Well, weâ€™ve got news for you â€“ YOU CAN! Gone fishing, on my own island â€“ dream of it but not only â€“ make it happen. The island of Pihlalaiu (Mountain ash gulf) is probably an one time opportunity. The Government of Indonesia has entered into an agreement with PT. Hanno Bali opening the way for the development of 11 stunning white coral islands near Singapore. Not only is this a very rare opportunity to buy your own private Caribbean island, but it's in Dolphin Bay, one of the most sought after locations in the archipelago of Bocas del Toro. This 6+ acre island (2 Hectares 6,423 Sq Meters)comes in a registered Panamanian corporation, has a small cabin/storage building and dock. It's just 20 minutes from Isla Bocas by boat. Located in The Pearl Islands, where the CBS show SURVIVOR was filmed last year (2005), this jewel of the Pacific in one of the few islands for sale in Panama with long white sandy beaches. Approximately 800 meters (1/2 mile) of sandy beaches. It is located about 50 miles off the coast of Panama City. This is a magnificent island located on lake victoria and under the jurisdiction of Uganda. It covert 135 acres and has very pleasant beaches allround. The island is just 30 minutes from the mainland, 30 minutes from the national airport, and 45 minutes from the capital city. The size of the property which is for sale now is 13.5 hectare (33.35 acres). The property is titled. The Island is 300 meters (984 feet) from firm land. Located on the Pacific Island western side of Panama (click the map below). This Beautiful Island has a total of 2000 hectare (4,942 acres). There are people living in the Island from different countries: England,Germany,US. Deep Blue Water Caye is a gem waiting to be developed. The island is located on the Eastern side of the Blue Ground Range. With wonderful eastern views, Deep Blue water Caye is protected by the barrier reef only a couple miles away. Moho caye is an island situated north of Belize City, approximately 1/2 mile from the coast. Maya landing is 715 square yard parcel of land on the mainland, which serves as ferry dock,parking facilities and security station. Moho Caye is oriented on an East West axis. The marina, marina officerestaurant, lodge,fuel dock,and conveience store are located on the northeasternside. A Wild Piece Of Paradise! A lot 113' X 90' at 9.6 Miles North of San Pedro Town Center, Ambergris Caye, Belize. 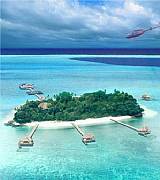 Private tropical islands for sale or lease. Beachfront properties. Country information Buy a private paradise today. Islands have white sand beach, royal palm trees with fresh coconuts and crystal clear blue water. Buy your private paradise today. Unique oportunity to obtain a picture perfect South Pacific island. Ovalau is a truly island of the dreams and is rated with Mounu island as a best islands for swimming in Vavau. We are offering 50 year renewable lease as only allowed in Tonga for now. Grate oportunity for a private resort. Owner will finance. 32 Acre Pacific Island W/ White Sands And Spring Water. This private island is 20 acres during high tide, and 32 acres low tide!!!!! The island boasts a natural spring water source, lush tropical fruits, and abundant coconut trees. This gorgeous island is surrounded by white sandy beaches, and tropical fishes. Great for scuba diving, snorkling, fishing, and various water activities.